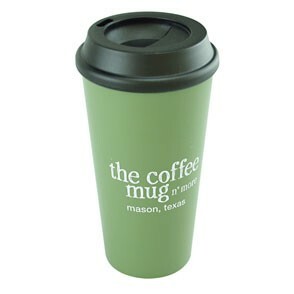 This double walled acrylic tumbler is a great value! Push on/pop off lid included. 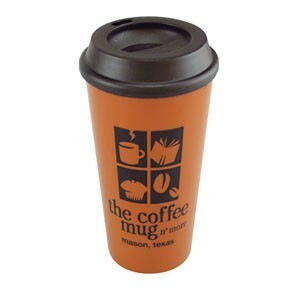 Keeps both hot and cold for hours! 4" x 3" imprint area. 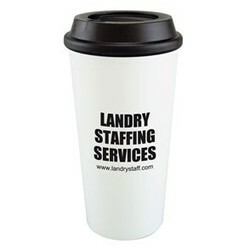 16 oz double wall acrylic coffee tumbler with black push on / pop off lid. This beverage holder is perfect for your favorite hot or cold beverages. 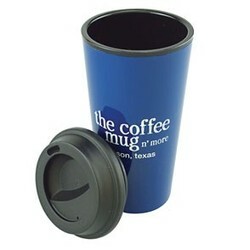 Travel mug has a tapered bottom that fits most beverage consoles including autos, golf carts & boats. This drinkware tumbler is great for travel. 20lbs; DIM weight may apply. $30(g). If more than three lines change or logo changes, new screen charges will be applicable.